Emerging from Rensaku's entrance backlash Uchiro was launched instantly to Level 2 of hell and was already beginning to sense the powers of Juhabach. At this moment he was so close he could smell him and it wasn't something that he wanted to smell really. It was a foul stench of the undead being burned to death while still being alive. This was a very foul smell and it made Uchiro sick to his stomach and pushed him to keep moving. Out of no where a hell guardian showed up and tried to capture Uchiro but within a swift movement of his larger zanpakuto the guardian was dead. "I really hate this place, no wonder why it is called hell." He then looked down into the water and he knew that was his way down to the next level but he wasn't sure if fighting Juhabach alone was a smart idea. If only there were more Captains in Hell to assist with this mission but Uchiro knew that he was alone now. 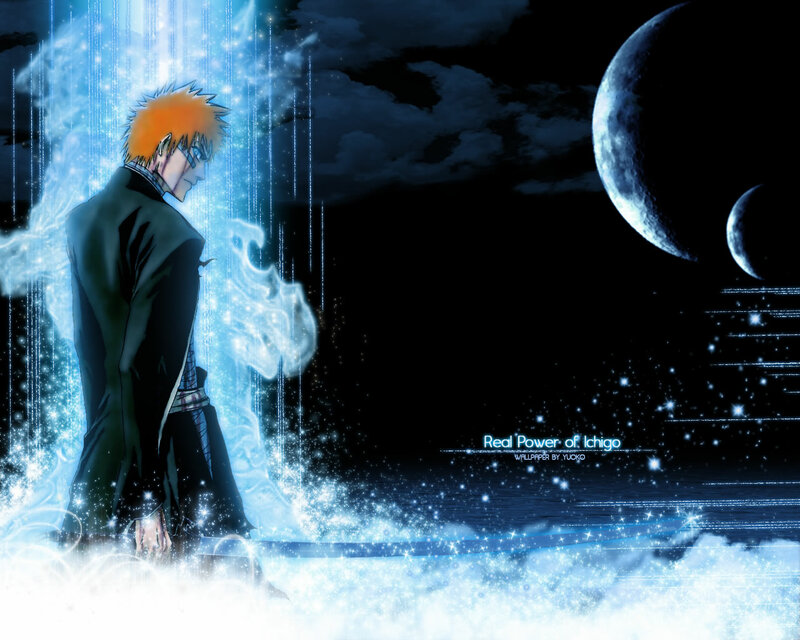 He now had his father's powers along with his own so this should be easy but the thing that worried him was his Bankai. If it was truly like his father's then there would be a huge issue with using it while in hell. "Now then to continue onward, this is the last stretch." With his spiritual pressure pounding the area as hard as it could. With a satanic grin he then turned his attentions to the lower floors. "Look out Juhabach, i am coming for your mortal soul!" Charging down at full speed he then went in to slash a guardian out of his way. It was time to finish this battle once and for all. Jinjako had stepped into the first level of Hell, this will never do. A Guardian rose up and started to swipe his giant arm at Jinjako, "Well then, sneaky arent we?" he blasted his Reiatsu outward from his back and ripped the guardian apart! Then, a Red lightning bolt Crashed around him and teleported him Right beside Uchiro. "It was taking you to long....." He gave Uchiro the sideways stare. Coming in through a burst of flames and appearing next to Jinjako and Uchiro, Blakdeath placed his zanpakuto on his right shoulder and spit onto the ground. He then looked over at Jinjako with an annoyed look on his face. "Who the hell are you calling slow? If anything you are slow." Looking over his shoulder he then raised his sword and a pile of forty guardians fell to the ground. "From the looks of it i am the fastest here. Must we wait here all day picking our noses or can we carry on?" Seeing a red lightning bolt appear next to him made Uchiro wonder why Jinjako was here. He was supposed to be guarding the gate. Now the gate was unguarded and even Blakdeath showed up at last. The question was where Rensaku was since he passed him on the first floor of hell. "Jinjako you are supposed to be guarding the gate to prevent enemies from closing it on us!" Uchiro was upset with this now that they were vulnerable in hell now. Then he looked over at Blakdeath who killed a number of guardians. "Fool you do realize that by killing them controlling the Togabito is going to be even more difficult." Was it possible these two just love to make situations difficult or is it just fate trying to mess with the situation at hand, this was a complete mess. "I have ensured the gate cannot be accessed by any one of our enemies... Only accessible to us." Jinjako watched as blakdeath destroyed the guardians. This was a Stupid move, at least Jinako only killed them when needed. He then rushed toward the water and held up a hand in front of him a hole opened in the water in a form so a swirling whirlpool, all the way to the other side. Jinjako Looked at Blakdeath, "Do not be fooled, The battle ahead is a great one, so be prepared, and do not kill when not needed. It will be harder to control the Tobigato jut like Captain Uchiro Says." "Now are you coming or not?" Then all of the sudden, something surged inside of jinjako... Hell was effecting his inner power. The water started to surge and you could feel the electricity in the air... Lightning bolts then crashed around them. The whirlpool spun with such power. Jinjakos eyes were glowing, his right, Bright yellow and his left, bright blue. His power is rising so fast and so much that guardians started to notice. They surrounded Jinjako. Hiru appears in the second level of of the underworld on search of his member, still wearing the Quincy outfit. After searching a while he was able to find him, he approached and spoke. "Look, there isn't much time, the gate is going to close at any moment, we need to go.. NOW!" He emphasized on the word "now", signifying that it was important that they left. As soon as he was there he was gone, leaving him to figure the rest out on his own. Looking back he heard Rensaku behind him or above him which ever way it was in this place. Hearing the words the Hell gates were closing made Uchiro think for a moment. Using his new found powers he then searched the entire dimension of Hell but didn't sense any Quincy down here. Opening his eyes he then knew that this was a trap set by the Quincy to trap the strongest of the Captains down here for an easy invasion of Soul society. "So it seems Juhabach set this trap for us here. It won't work on me! Rayton Tensho!" Firing his strongest attack he broke the barrier between the first and second levels of hell. Using his shunpo he then pushed up with his feet and charged clean up to the first level then gave it another push to travel at high speeds through Hell. Coming up to the gates Uchiro then pushed through to a bright light to appear on the other side of the gates. Jinjako used the surge in power to kill every last guardian. Not only the but sent Lightning crashing up to the portal to tear it open just a little more. He moved at super sonic speed. And Burst through the other side of the portal Following Uchiro. He looked to his side, His power still surging. When would it stop? Quincy lined the room, The security that jinjako had taken worked, several of fresh dead bodies were laying on the ground. "I see you tried to walk through my water. Looks like it id you no Good." His voice was deep and demon like, and echoed through the room. Lightning crackled through the water and around Jinjako. Uchiros power was growing as well. Hell really effected Jinjako.